I remember when I first began teaching that I was fairly clueless about classroom management. I didn’t have firm procedures and routines in place. I wanted to be liked by my students when I should have been focusing on being respected. I should have been friendly but also firm in my role. It took me a few years of trial and error to learn how to calmly manage my class. I was fortunate to be able to figure it out on my own because I know many veteran teachers who still struggle with behavior issues in their classrooms. I felt like Linda was really speaking to me when she talked about teachers not wanting to make a big deal out of little things. I made that same mistake at first. I thought if I ignored the small stuff that it would eventually just go away. Did that happen? Of course not! Little issues grew into bigger issues when not handled properly. Linda offers some helpful tips for getting a classroom to run smoothly. If you are ready to really delve into making the most of your classroom management skills then you won’t want to miss Linda’s Classroom Management 101 course. 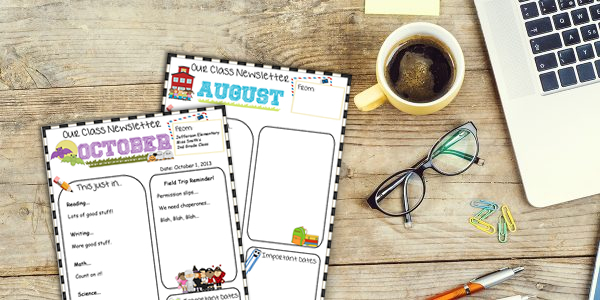 Plus, a bonus back to school module! Remember, whether you are a new teacher or a veteran or if it is the beginning of the school year or half-way through, it is never too late to implement strategies to effectively manage your classroom. I’m partnering with Teach 4 the Heart to spread the word about this minicourse because it’s helped a lot of teachers regain control. If you decide to purchase a course after clicking on a link above, I will receive a percentage of your enrollment at no extra cost to you. Thanks for helping support Teaching in the Sunshine in this way. We all know that February is celebrated as Black History Month. Of course, since black history is also American history, important topics such as the Underground Railroad are appropriate to teach all year long. The Underground Railroad was a system of secret routes that escaping slaves used to find their way to freedom. The term “Underground Railroad” was introduced in the 1830s when actual railroads were spreading across the country. However, slaves had been trying to get to freedom long before the phrase came into use. Railroad terms were also used to identify the people involved and hiding places found, along the Underground Railroad. Escaping slaves were referred to as passengers, baggage or other things you might send on a train. A conductor was a person who guided slaves to safe places. Stationmasters hid slaves in their homes or stations. 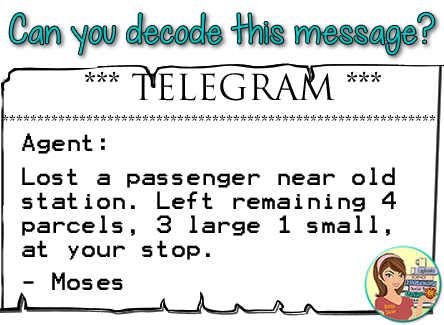 This coded message alerted him of the arrival of six escaped slaves – four adults and two children. The word “via” had a coded meaning, informing him of where he needed to pick them up. 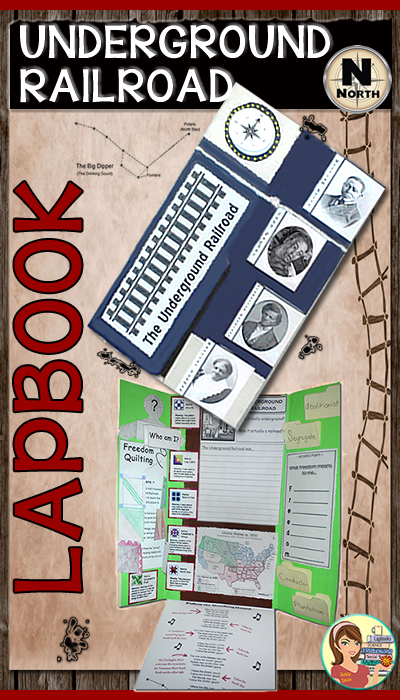 Students learn about secret codes of the Underground Railroad and so much more with this educational PowerPoint and hands-on lapbook learning activity. Ready to get started? GRAB YOUR COPY HERE! As a teacher, you have plenty on your plate. I get it. That’s why it can be tempting (or even unintentional) to let general classroom communication with parents slide off the priority list. That is a mistake and I will tell you why. You want parents to feel fully vested in what is happening in your classroom. They need to know what is going on in order to be supportive. 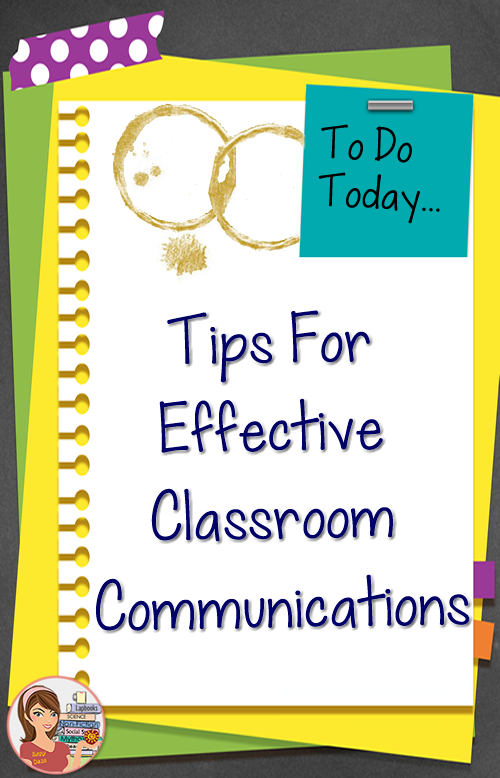 As the teacher, you are the one responsible to keep the lines of communication open all year long. Start your year off right… with information overload? It might seem that way but there are several things that parents should be informed about right from the start. You can just hand them a traditional syllabus that you’ve typed up. That will work. Or you can get a bit more creative and place that information in a flipbook. 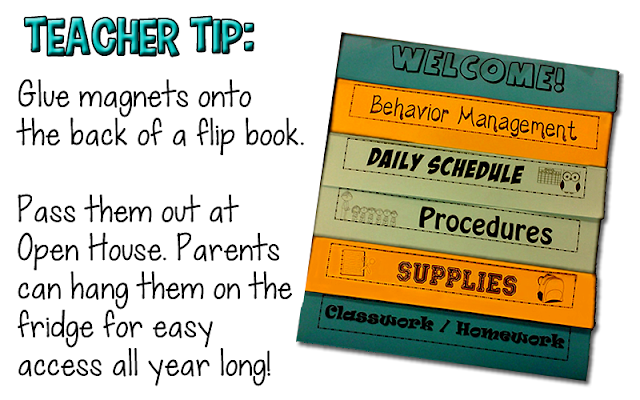 A handy idea is to glue magnets on the back of the flipbook and tell parents to stick them on the side of the fridge. Then the information is always right at their fingertips. 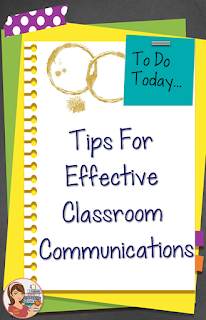 You should keep families informed about classroom business throughout the year. Use a combination of several methods. 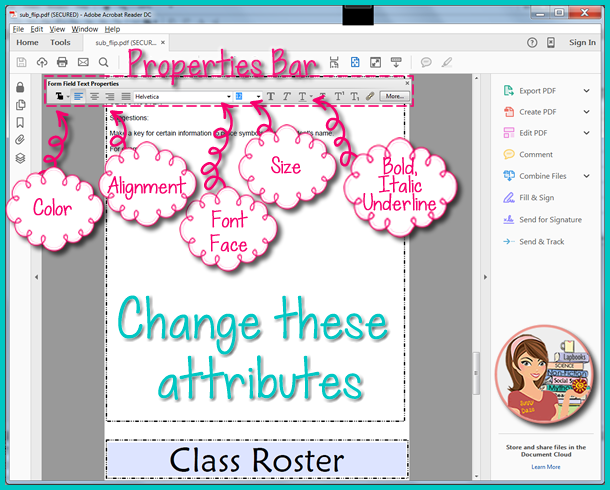 Create a class web page. There are free sites, like Weebly, that are fairly user-friendly to use as your classroom web page. If your school doesn’t provide you with parent e-mail addresses, request them yourself. Most parents are busy people. Many will appreciate the ability to communicate easily via e-mail. Send monthly class newsletters. 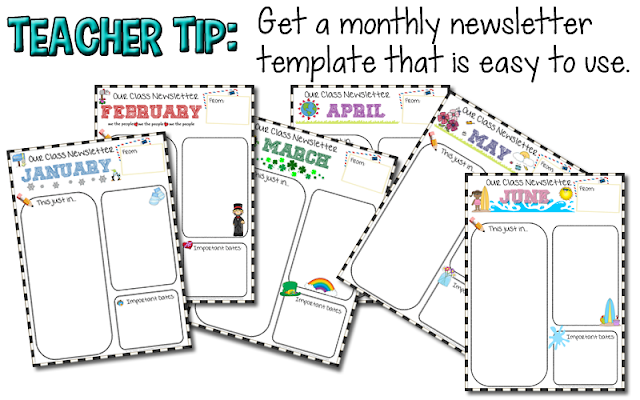 Select a newsletter template that allows you to quickly enter updates into it. At parent/teacher conference time, be prepared with general class information as well. Do you have a field trip scheduled? Have your permission slips and all accompanying information prepared as far in advance as possible. 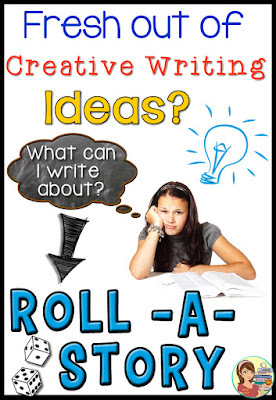 Roll Some Creative Writing Fun! When it is writing time, do your kids complain that they can't think of anything to write about? Let me solve this problem for you right now. Roll-a-story! This concept is simple but so much fun for the kids. You need one single die to roll, plus a roll-a-story card that has the writing options on it. (You can make your own cards or use one that I link to below.) The card should have a column on the left that shows dice numbered 1-6. Each writer rolls a single die 3 times to determine their story elements. The first roll selects the character. The writer will find the picture of the die, showing the number that they rolled, on the card and look to the right of it to find their main character. The second roll determines the setting and the third roll the story's conflict. Three rolls of a die and 6 possibilities for each of the story elements equals 216 possible story combinations on just one roll-a-story card. Your children or students will definitely want to roll and write stories more than one time! Trust me, you'll see. Are you ready to roll? Take a look at this FREE roll-a-story card & writing stationery found at Playdough to Plato. It is titled, "Roll a Silly Spooky Story." Who says spooky stories can only be written around Halloween? I say they are fun all year long. Do you love the roll-a-story format but want to take it to the next level? 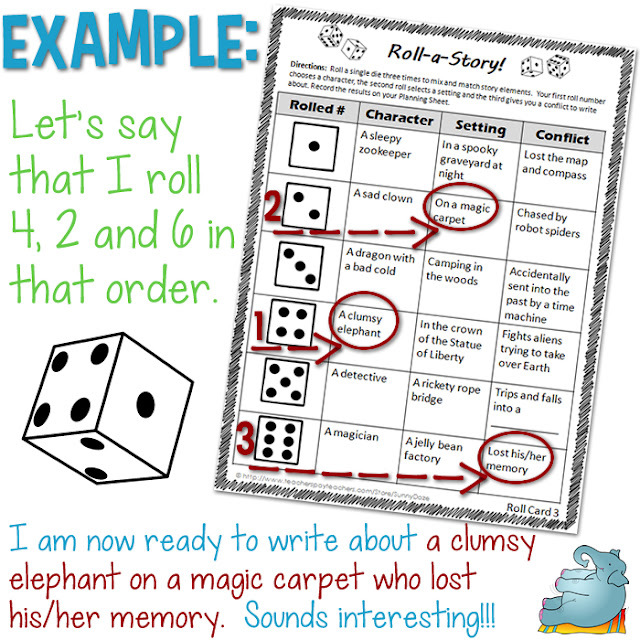 The roll-a-story cards highlight 3 of the 5 elements of a short story (character, setting and conflict). Teachers and homeschooling parents know that kids often have a tough time understanding the difference between the remaining two elements (plot and theme). This next resource has it all covered for you. An informative PowerPoint presentation breaks down all 5 elements of the short story with examples. 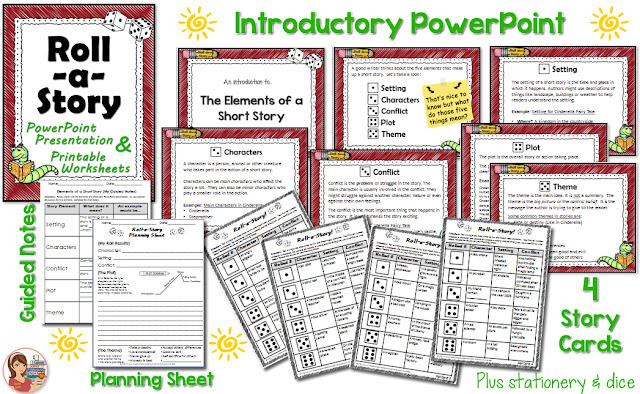 It also includes guided notes to keep kiddos engaged during the the PowerPoint as well as a planning sheet, 4 roll-a-story cards (that means 864 possible story combinations), and writing stationery. Whew! This will get the job done while kiddos have fun. I recently created an editable PDF resource. I must say, it went quite smoothly. Yay! My favorite proofreader (AKA my husband) was asking me some questions about how certain things would work for the users of the document such as, "What if they want to change the font?" I said sure they can do that, no problem. That got me thinking though, will people know how easy it is to make changes? No worries! I'm stepping in to help with an easy overview for working with an editable PDF created by someone other than yourself. What program do I need to make edits? You will need to use Adobe Acrobat Reader in order to open the editable PDF. The good news is that it is a free program. You can download the most current version HERE. Note to Mac users, the 'Preview' feature that opens by default is not the same as the Adobe Reader. 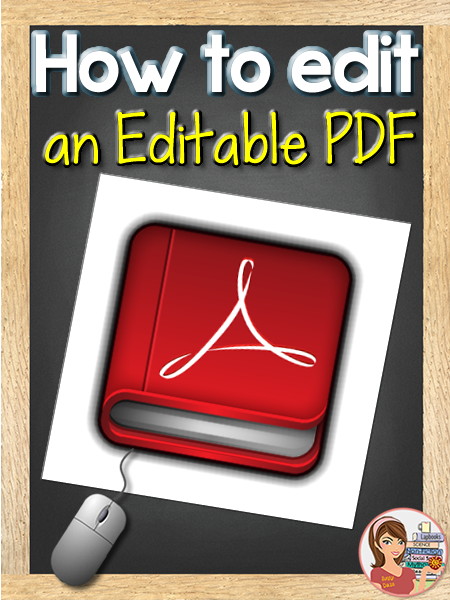 When an author creates an editable PDF, they are allowing you to change one or more portions of their document. They get to decide what is editable. It could be the whole document, certain sections or even just a signature box. 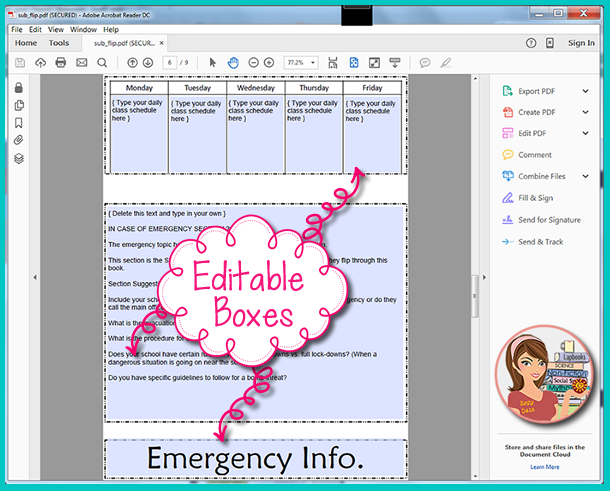 When you open the file in Acrobat Reader, you will see blue boxes wherever an editable field has been placed. To make text changes, just click in the box and type your own content. In the example shown below, starter text and suggestions were typed in by the document author (me!). That text can simply be deleted by the user once they are ready to type in their own words. In addition to typing your own words you might be able to change the text attributes. If the author of the file has allowed it, you can access a Properties Bar to change things such as the font type, size, color, etc. 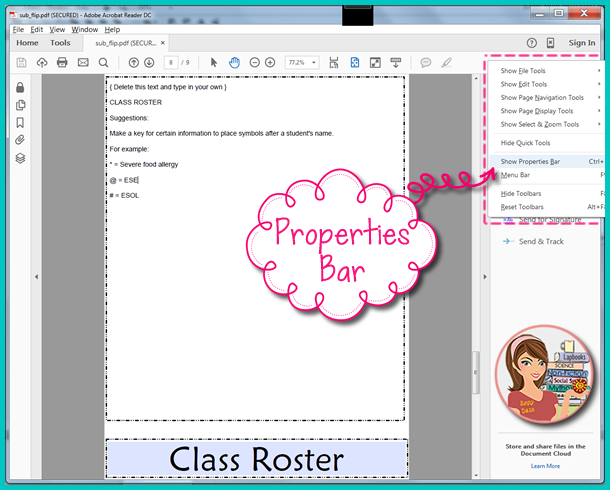 To access the Properties Bar, click in an editable text field. Then, right click in an empty space on the menu bar above. A box will pop-up. As shown in the example below, you should select Show Properties Bar. Once the Properties Bar is accessible, highlight the text that you would like to change. Then click on the feature on the Properties Bar to apply it to that highlighted text. Take a look at some attributes below that can be edited using the Properties Bar. Easy-peasy, right!? 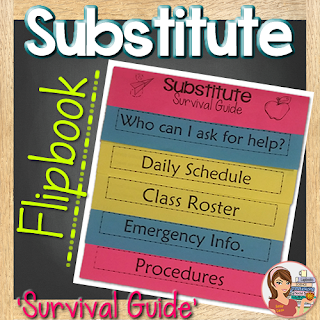 If you are curious about the document used in the examples, it is my Substitute Survival Guide Flipbook. Fractured fairy tales take the traditional fairy tales that you know and change them. Elements such as the characters, setting, point of view or plot might be changed. For example, a fractured version of Three Little Pigs has a wolf who is just misunderstood. As he explains from his point of view, he wasn’t actually trying to blow their houses down. The truth was he just had a really bad cold which was making him sneeze a lot! His nose was stuffy so the pigs must have misunderstood his words. He was only trying to knock on his neighbors’ doors to see if he could borrow some cold medicine. At the heart of it, a fractured fairy tale is just a really cool way to learn about the importance that point of view plays in the telling of a story. We've all heard sayings like, "History was written by the victors" or "There are two sides to every story." Fractured fairy tales allow us to introduce this lesson, using traditional fictional tales, at a level that kids can not only understand but enjoy. First, set the stage. Lead a class discussion on fairy tales. 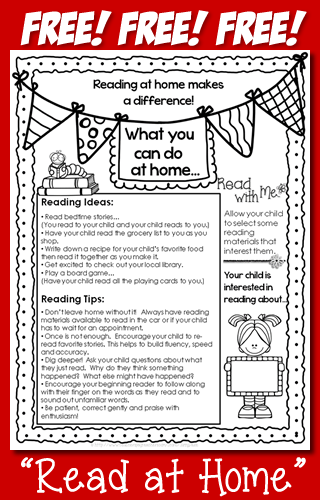 (TIP: Create an anchor chart using these responses and post for easy reference.) What are some class favorites? What are elements that we commonly find in fairy tales? Next, if you have access to a fractured fairy tale story, read it now. Note that the elements of a traditional fairy tale that you discussed previously are still present. The author just twisted or fractured parts of the story. Discuss what exactly the author changed. If you are looking for a book to read, Read Write Think has created a fractured fairy tale book list found here. Finally, let the fracturing begin! Have students select a traditional fairy tale. They should give it a new title. 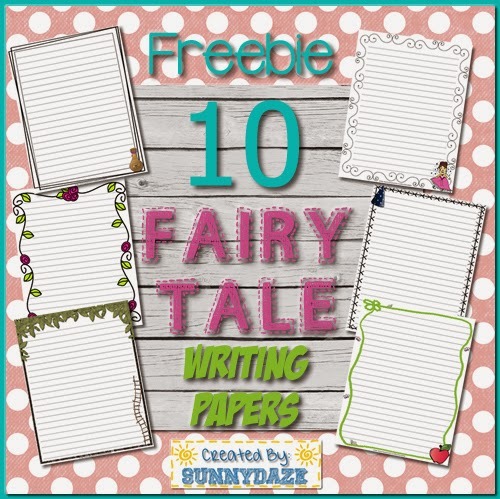 When they are ready to write their final version (after drafting and editing) let them write on this adorable FREE fairy tale stationery. You do need to be a member of TPT to download it but no worries. If you need to sign up that is easy and free too. After the writing is complete be sure to have students answer the reflection questions listed above. Or, step things up a creative notch and make a cool castle shaped lapbook. Do you think back to your childhood with fond memories of your favorite books? I certainly do. My mom tells me that when I was very young I could not get enough of Green Eggs and Ham. I was saying all the words along with her as she read, even before I could read. In my pre-teen years, I saved what little allowance or gift type of money that I received to subscribe to a book delivery service. This was long before e-books were a thing. I was so anxious to receive my book club books each month! The Sweet Valley High series was a favorite back then. More than anything though, some of my best childhood memories are of reading to my younger brothers. When they were very small, I read Dr. Seuss books to them. Another favorite was The Berenstain Bears and The Spooky Old Tree. I would read with great suspense in my voice as I asked, “Do we dare go up those spooky old stairs?” They would giggle and shout back, “Yes, we dare!" As they got a little older (elementary school age to my junior high school age) I read several ‘Choose your own Adventure’ series to them. They would each sit on either side of me as I read the story. When we got to a decision page, they had to talk it out and reach a decision together. It was so cute watching a little six year old and nine year old justify their reasons to each other for why we just had to do the action that they were choosing. As a big sister, even though they are now grown men in their 30s, they will always be the little six and nine year old boys to me. So eager to hear what happens next in the story. Where would our childhood memories have gone without books? I can’t imagine if I had to think back fondly to those great times when I stared at the back of their heads as they watched TV or played video games. What!? No. As a soon to be new mom, I can’t wait to start reading to my baby boy like my mom read to me. As I mentioned, the flyer is free. It is available in my TPT store. You do need to be a member to download it but no worries. If you need to sign up that is easy and free too. You can also find several more tips in The Literary Maven's, Page Turners: "Fostering a Love of Reading" blog post.